I've been using JotForm for many years now and I'm very familiar with using the Google Spreadsheets Integration feature. 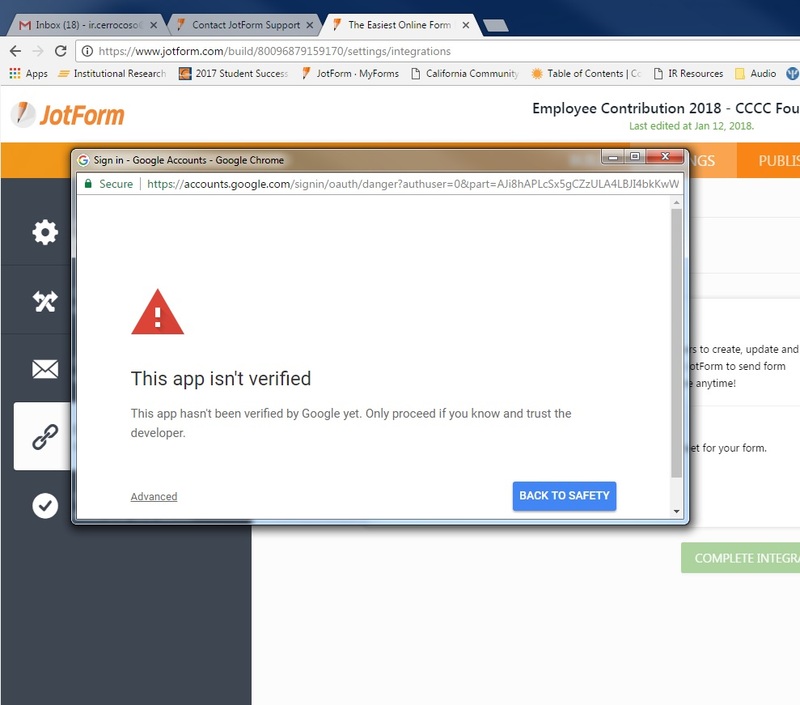 I tried it this morning with a form I've been working on and an error message comes up that indicates "this app hasn't been verified by Google yet" and it does not allow me to proceed with the integrations. We are currently facing technical difficulties with Google spreadsheet. I will pass this ticket on to Level 2 support. They are currently working on resolving this problem as quickly as possible.